Embossed soft texture, organic lines, raised cylindrical forms and broad polished areas make these earrings very popular. They have just the right amount of detail to not over power the earrings themselves. 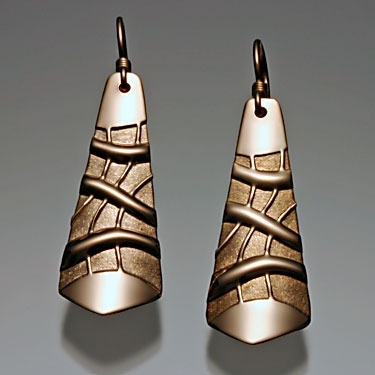 These earrings are 1/2” x 1 1/4” with gold-filled ear wires.